Kiehl's Oil Eliminator is the latest in its Men's Skincare range, and it consists of three products - a Deep Cleansing Exfoliating Face Was For Men, a Refreshing Shine Control Toner For Men, and a 24-Hour Anti-Shine Moisturizer For Men. And as you might expect from a range called "Oil Eliminator", the cleanser, toner, and 24-hour moisturizer are meant to keep your guy's skin (or your skin, if you are looking for oily skin products) oil free and shine free for longer. You may even have heard about the brand's advertising claim that they have NASA space technology in their products - in particular some technology called Aerolite, which is based on aerogel technology. 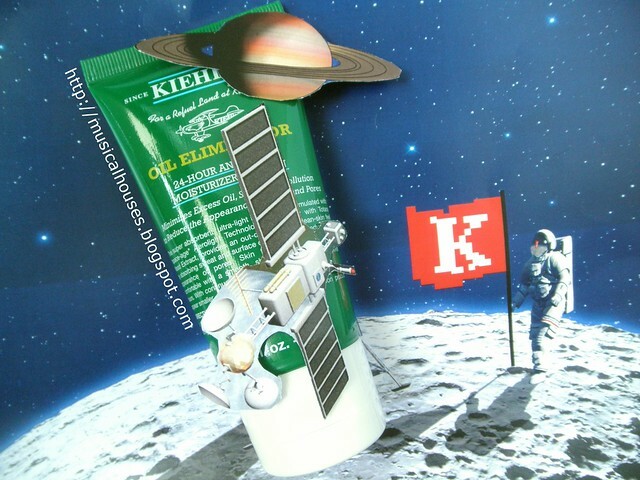 In fact, Kiehl's did this entire advertising stunt where they literally sent their product into space, and this magical ingredient is supposed to absorb more than four times its weight in oil. Kiehl's Oil Eliminator For Men Skincare Range: Now with aerogel technology inside! But beyond that, men's skincare is tricky because men are also surprisingly picky about skincare. It turns out that guys are actually quite hard to win over as skincare users, as a number of company PR and Marketing people have told me at various blogger/press events. Turns out, guys are picky about their skincare in the aesthetic or cosmetically elegant sense - the moment they have to put something on their skin and it feels the slightest bit sticky or oily, or leaves a bit of residue, then most guys will not continue to use it. (I'm sure any woman who has had to purchase skincare for her guy, only to see it go untouched after the first few tries, knows what I mean.) So formulating a skincare that is aesthetically pleasing for the male customer is also important as far as men's skincare is concerned. So with that said, let's see whether Kiehl's has managed to placate the ever-picky male skincare customer. I think in both cases - formulating for thick, oily skin, and making sure the skincare feels cosmetically elegant - Kiehl's has done a pretty good job. And we'll also get around to talking about that fancy Aerolite/Aerogel technology (exactly what is it, you must be wondering). But for me to explain that more fully, we'll have to start at my favourite place for skincare products - the ingredients list! First, we have the Oil Eliminator Deep Cleansing Exfoliating Face Wash For Men. This is sensibly packaged in a deep green tube. The ingredients are water, as you might expect, and then Sodium Cocoyl Glycinate, which is a fairly mild surfactant that also gives pretty good foam in products, Coco-Betaine, aka Cocamidopropyl Betaine, also a more gentle choice for a surfactant. Then there's Glycerin, a well-known humectant, and then Acrylates Copolymer (which could be a film-forming or antistatic ingredient), as well as Sodium Chloride (table salt, but used as a thickener in this case). 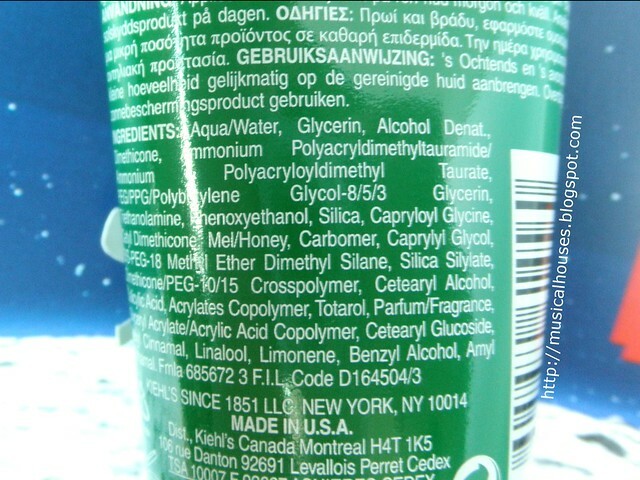 All the ingredients after this are minor ones, coming in at 0.1% of the product or less (after the preservative Phenoxyethanol, a preservative used at less than 0.1% concentration), so they are minor ingredients, primarily consisting of minor functional ingredients, such as pH adjusters, fragrance, and so on. The only exception is the Prunus Armeniaca (Apricot) Seed Powder, which is used as a mechanical exfoliant (i.e. mechanical, with some sort of scrubbing beads, as opposed to chemical, with an acid). Incidentally this formula is pretty similar to Kiehl's Calendula Deep Cleansing Foaming Face Wash, which I've reviewed before and really liked. While there are some differences for sure - such as the inclusion of Apricot Seed Powder in the Oil Eliminator range - the main bulk of the formula is nearly identical, consisting of the same surfactants (Sodium Cocoyl Glycinate, Coco-Betaine), humectants (Glycerin), preservatives (Phenoxyethanol), and also similar film formers (the exact film formers used are different, with the Oil Eliminator range using Acrylates Copolymer, and the Calendula one using Acrylates/Steareth-20 Methacrylate Copolymer). 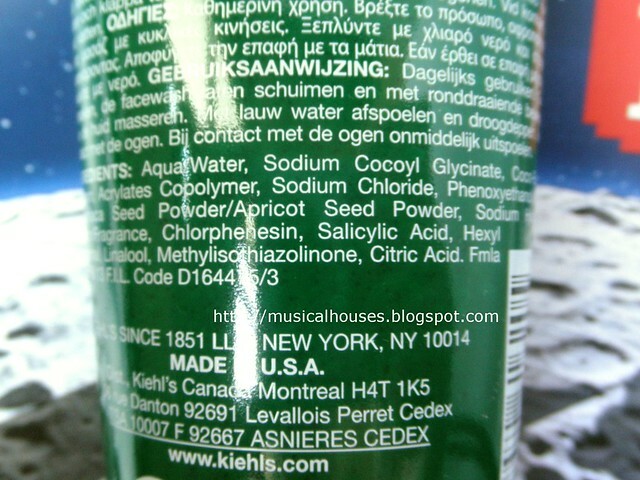 (If you've read my original Kiehl's Calendula Deep Cleansing Foaming Face Wash review, you may recall that I also mentioned that Sodium Cocoyl Glycinate and Coco-Betaine are used in Dove Body Washes and baby shampoos respectively - just a little tidbit of info there!). So since I loved the Kiehl's Calendula Deep Cleansing Foaming Face Wash, I expected to like this too - after all, it's formulated pretty similarly. And sure enough, I did indeed like it, for the same reasons that I liked the Calendula Foaming Face Wash: it cleanses nicely and effectively, and rinses off cleanly, but without drying the skin. In that way, the Oil Eliminator Deep Cleansing Exfoliating Face Wash is also a great pick for a cleanser. It also has small apricot beads, as you can see from the photo above. Whether you like these or not will depend on your skin sensitivity and cleansing preference, but if you are a guy with thicker skin, you might appreciate the extra exfoliating power provided by the cleanser. And if you're a girl, and loved the Calendula Foaming Face Wash and is looking for a more exfoliating version, then yes, you will probably love the Oil Eliminator Deep Cleansing Exfoliating Face Wash For Men as well (I'm sure he'll let you "borrow" his). And a side note: If your guy doesn't find this "cleansing" enough for him (i.e. he wants something that really leaves his face squeaky-clean) then he might like the Kiehl's Ultra Facial Oil-Free Cleanser, because that is for people with seriously oily skin! I wasn't a fan of it as I found it too drying for my own skin personally, but I imagine some guys with super oily skin might like it much more than I did. Kiehl's Oil Eliminator Refreshing Shine Control Toner: Now in a nifty spritz-on bottle! 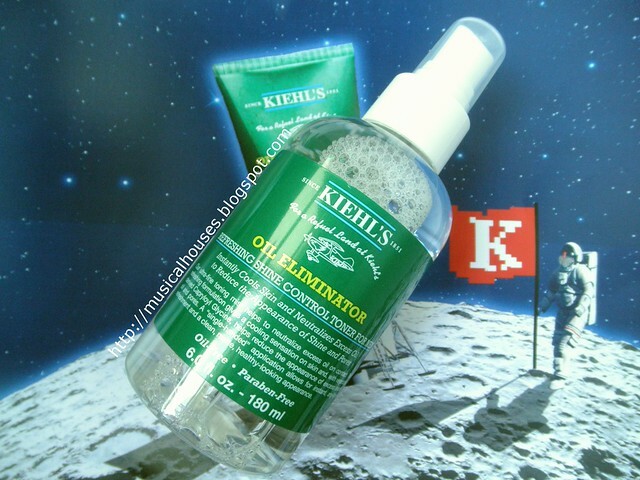 Next, we have the Kiehl's Oil Eliminator Refreshing Shine Control Toner For Men. This is a toner, but the packaging is geared towards men who can't be bothered with skincare - you can see it's in a "spritz-and-go" pump spray packaging. This is in contrast to most toners, which tend to be in bottles that require you to pour the toner out onto a cotton pad or onto your face - and I'm pretty sure half the guys I know aren't going to be bothered with pouring stuff out onto cotton pads or their palms. So the spritz mechanism is one small step towards encouraging guys to use skincare, I suppose! The ingredients in the Kiehl's Oil Eliminator Refreshing Shine Control Toner For Men are pretty straightforward - the main ingredients water, Alcohol Denat., Glycerin, Capryloyl Glycine, and Polysorbate-20. After that, we hit the fragrance and other minor ingredients (Menthol, Hexyl Cinnamal, Linalool, Limonene, and so on). The first thing most people will notice is the presence of Alcohol Denat., which some people really dislike in their skincare. Now I personally have a more balanced view on this, contrary to some people who prefer to have no alcohol at all, and if you've read my review on the Kiehl's Ultra Facial Oil Skincare range, or for that matter my review on the Juju Aquamoist Moisture Lotion, you'll probably already know this. I've already explained in that post that it's not about the presence of alcohol per se, it's how much alcohol in the product there is. I recognize that alcohol can have beneficial effects in skincare (primarily acting as a penetration enhancer and thinning out very thick or oily products), so in low amounts I'm happy to have it in my skincare, but in high amounts I might start getting concerned about whether the product will be too drying for my skin type. However, I can imagine that since this is a men's skincare range, a higher amount of alcohol was included because guys have thicker skin, and thus perhaps greater penetration is necessary. I suppose guys aside, even some girls might benefit from this - it depends on your own skin at the end of the day. 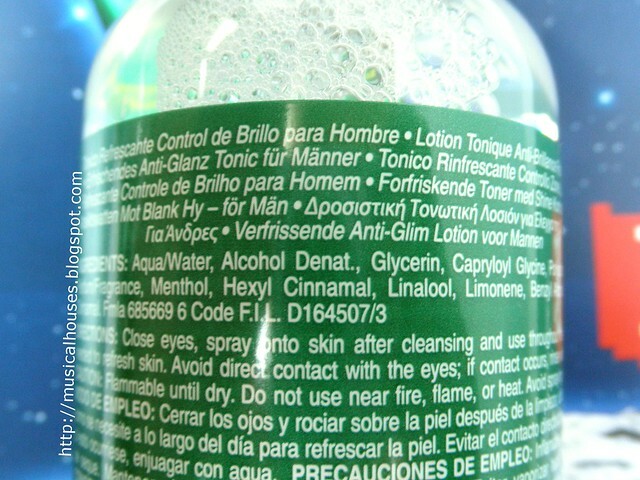 Besides, with a spritz-on product like this, it is quite likely that the alcohol will evaporate pretty quickly once it leaves the product in aerosol-like form, so even if the product has a high amount of alcohol, it's not likely that all of it will end up on your face (as opposed to, say, a leave-on creamier type product). Alcohol after all, is pretty volatile and evaporates fast even at room temperature, so the spritz-on form will likely encourage more evaporation of the alcohol from the product once it leaves the packaging. This might not seem to have an obvious benefit, but it would make the product quite aesthetically pleasing - which I've mentioned before, is important for guys). The product will probably appear to sink in really fast and leave behind no residue this way. Alcohol aside, the rest of the main ingredients are pretty useful things to have in skincare. Glycerin is a humectant, and Capryloyl Glycine is nice to have for oily skin. It helps to regulate oily skin with a tendency for acne, as it inhibits replication of the germs responsible for acne and limits the production of sebum. As a result, you can find it used in anti-acne products too. Polysorbate-20 is an emulsifier to ensure the product mixes together well. So as you might expect from the ingredients list, this product looks, feels, and applies like water. It doesn't dry out the skin, since there is Glycerin in there as a humectant, but at the same time, it sinks into the skin really fast. In part this is probably because of the Alchol Denat., which seems to partially evaporate once it leaves the spray bottle in an aerosol form, thus giving the sensation of leaving no residue behind on the skin. In fact, I was quite impressed by how skin-like it left my skin feeling - unlike other toners which can leave your skin looking a little shiny, or feeling a little oily, this has the feeling of nothing on my skin - you spray it on, it touches your face, you get a nice tingly feeling from the Menthol inside it (I suppose "nice" is subjective, since some people like Menthol in their skincare and others don't), and after that, your skin feels exactly the same as it was before. So as far as guys go, this would also be a product that I think they're likely to keep re-using, because it's easy to use, fuss-free, and doesn't look or feel like they've applied any gross oily skincare products. The oil-control and acne benefits from the Capryloyl Glycine are also a plus. For girls, sure you can try this out if you have oily skin - just don't expect this to feel like your average toner. If anything it feels more like a spritz of water than a toner proper. Kiehl's Oil Eliminator 24-Hour Anti-Shine Moisturizer: The product in the range with the Aerolite technology. 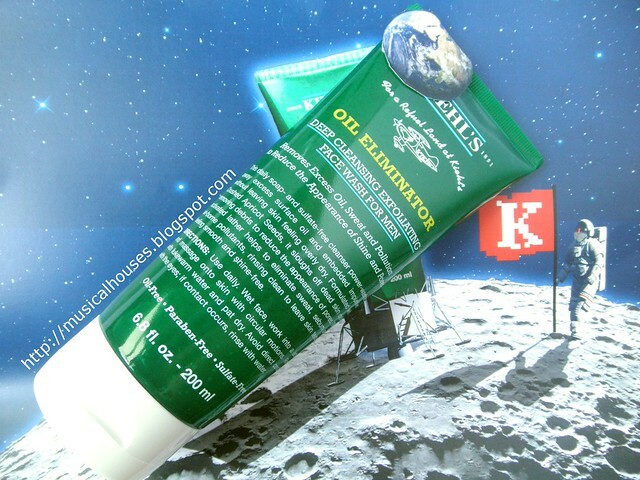 Lastly, the Kiehl's Oil Eliminator 24-Hour Anti-Shine Moisturizer For Men. This is a moisturizer, geared towards guys. And its special feature is that it keeps your skin shine-free and oil-free. Good for guys right? No oily-looking skin! And, this is the product in the range that has the much touted Aerolite technology. So we'll be taking a look at that too! Kiehl's Oil Eliminator 24-Hour Anti-Shine Moisturizer Ingredients: Formulated to provide light hydration, and to sink in fast. The main ingredients in this are Water, Glycerin, Alcohol Denat., Dimethicone, Ammonium Polyacryldimethyltauramide/Ammonium Polyacryloyldimethyl Taurate, PEG/PPG/Polybutylene Glycol 8/5/3 Glycerin, Triethanolamin. After that we hit the preservatives (Phenoxyethanol being the main one in this case) and less-than-0.1% ingredients. We're already familiar with water, Glycerin and Alcohol Denat., so I won't repeat myself. Dimethicone is a silicone that helps in providing the product with emollient benefits, while PEG/PPG/Polybutylene Glycol 8/5/3 Glycerin is a humectant, and Ammonium Polyacryldimethyltauramide/Ammonium Polyacryloyldimethyl Taurate, which serves as a viscosity controller (so your product isn't too runny or too thick but just nice). Triethanolamin is a pH adjuster, and is generally considered to be safe in the low percentages (5% or less) in which it is usually used in cosmetics, despite some of the noise I've been seeing online about how it's unsafe and so on. So on the whole, you'd expect this to be a moisturizer that sinks in really fast, provides some hydration, and feels nice on skin. At this point, you're probably wondering - wait, what happened to the Aerolite technology that was advertised? Wasn't it used in space and all? Aren't there any aerogel-fancy things inside? Turns out, it is there, but as a minor ingredient. Further down the ingredients list, you'll notice Silica Silylate, which is actually a type of silica aerogel. In cosmetics, aerogel isn't actually particularly new (it was billed as a "next generation thickening agent" in 2006, so it's fairly new, but not particularly super-cutting-edge new), and have been used as thickening agents for sometime. Silica Silylate, in particular, though, has some interesting properties - it does indeed have superior oil absorption, and also helps to reduce the appearance of line and wrinkles (which is also sometimes why you see it in other cosmetic products, like face powders). 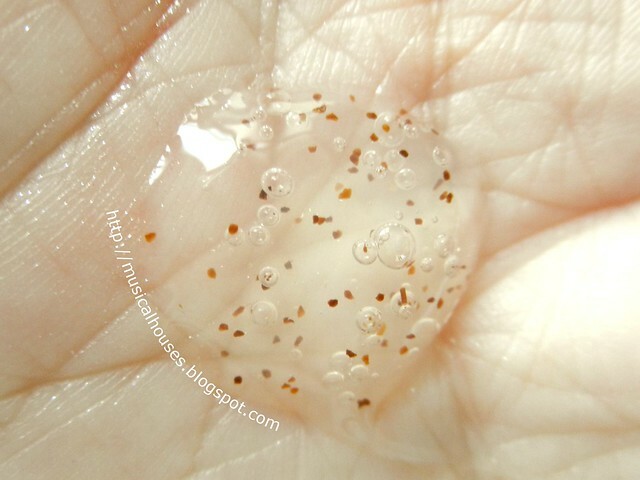 So yes, the inclusion of this will help the product's oil-control properties, which is useful for oily skin. So there you go - a quick look at the product's space technology! Kiehl's Oil Eliminator 24-Hour Anti-Shine Moisturizer: Doesn't the product look just like aerogel? So how does that all come together when we actually use the product? Turns out, it is a pretty great experience. First of all, the product looks pretty cool - it has that same light-scattering, transluscent appearance that an aerogel has. I know this is probably achieved through various opacifiers and polymers and so on, but it's still pretty cool, because it ties in with the marketing. I mean, if you're a techie type of guy who actually knows what an aerogel is, then I can imagine you'd probably get quite a kick seeing this aerogel-looking gel come out of your tube. It's pretty cool, right? Cool factor aside though, the 24-Hour Anti-Shine Moisturizer For Men really does indeed work well at keeping shine at bay. Perhaps its the Silica Silylate or whatever, but I wore this for half a day, and it did indeed absorb my oil and keep my shine away until the last few hours. So that was impressive. In terms of moisturization, moisturized my skin fairly decently - it isn't the most moisturizing product I've tried, but is sufficently moisturizing for oily skin. And just like the other skincare products in the range, this had a very nice skin-like, cosmetically elegant finish. After application, there was no sticky or oily feeling, nor did my skin look shiny, nor was there any residue. My skin just looked like bare skin. Clearly this product has been carefully formulated to feel exactly right, and I really liked that. So what do I think of the entire range? It's formulated for oily skin, and is also formulated to be very cosmetically elegant - all the products feel weightless on, and leave your skin feeling like skin, and don't leave any oily or shiny residue. This will definitely go some way towards getting guys to use (and continue) using their skincare products. If you're a guy (or live with a guy, or even if you're not a guy! ), and your main concern is oily skin, and you want a skincare range that will keep your skin looking like bare skin, then this is the range to check out. The Bottom Line: A skincare line formulated for the thick, oily skin of men, the Kiehl's Oil Eliminator range is an easy-to-use, fuss-free, non-oily-feeling skincare range that will probably find its male customers coming back to use it. First off, great review! Clear and detailed, feels like a course on chemistry I would have loved having in college! I have been using the toner and the deep cleansing exfoliating wash for almost a year now. The toner is really practical in spray form, since you can apply it directly on the face or first in the palm of the hands and then on the face. Either way, it is refreshing and dries very quickly, leaving you with a clean feeling. I use it as an after shave and it soothes the skin from razor burn. Some people recommend applying the moisturizer after the toner to properly hydrate the skin after shaving, but I find the toner to be sufficient. My skin isn't particularly sensitive or dry, so maybe that's why. I don't have oily skin but my t-zone does get shiny if the temperature is warm and this is where the toner can fall short. Those parts tend to get shiny again after a couple of hours. Maybe the moisturizer could solve this problem. The exfoliating wash is gentle so you can use it everyday without drying or damaging your skin. The product doesn't foam quickly so you have to apply some energy when turning it into a lather, otherwise you will have excess product sticking in the palm of your hands. When I want a more "wake me up" and deep cleansing wash, I go for the facial fuel energizing scrub, which I apply twice per week (very good product also). All in all, these are very good everyday non-agressive products which leave you with a clean skin sensation. People with oily skin might want to use the toner several times a day to fight back against resurfacing oil.